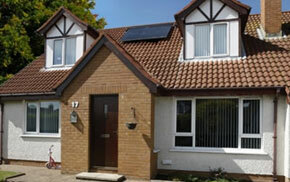 Mendip offer a broad range of energy efficient uPVC and composite entrance doors that complement any home. Whatever your needs, style or taste, Mendip’s vast variety of doors is sure to have something to suit you and your home. Mendip can offer you an excellent range of high-quality entrance doors suited to match any style and any property. Available in any colour and with fully customisable hardware, our entrance doors are perfect for homeowners who want to add an extra touch of security and style to their home. 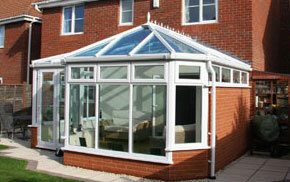 Why choose your front or back door from Mendip? If you’re looking for a great value door that is easy to maintain and offers an excellent level of security, why not consider a uPVC entrance door? Purposely designed for user-friendliness and easy-maintenance, a uPVC entrance door is attractive and thermally efficient, making it excellent value. White front doors are ever popular, but we also supply uPVC doors in a full range of colours, with decorative glass and accessories options. Combining the durability and security features of timber with the easy maintenance of uPVC, a composite door is a practical but incredibly stylish entrance door that is also amazingly secure. An authentic timber look, scratch resistant profile combined with a sturdy frame and weather tight seals creates a door with stunning aesthetics that doesn’t compromise on quality. 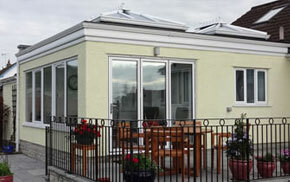 The foam interior and double glazed units ensure high levels of heat and sound insulation. Traditionalists will always prefer a timber front door for their authentic feel and finish. Modern timber doors that are manufactured to high standards will last years without needing repainting or maintenance, and our doors can also be combined with bespoke glazing and matched with timber windows. Timber doors are perfect for homes in conservation areas where achieving a traditional look is important. 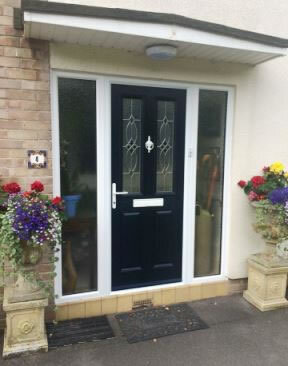 If you’re looking to upgrade your front door, why not get in touch with Mendip? 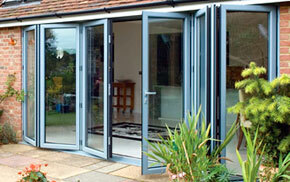 Choose from a full range of secure and energy efficient entrance doors for your South West home.